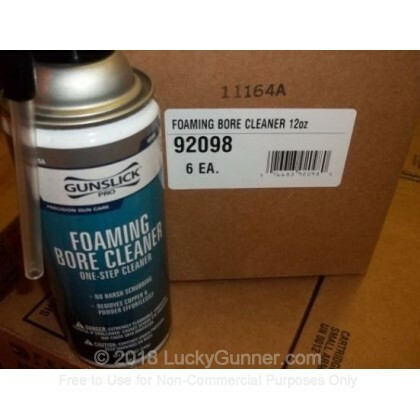 Gunslick's foam bore cleaner is both easy to use and effective at removing copper fouling, lead deposits, and carbon deposits from the bore of rifles. By removing copper fouling, your rifle's barrel will perform better increasing your accuracy. Bore cleaner is easy to use. 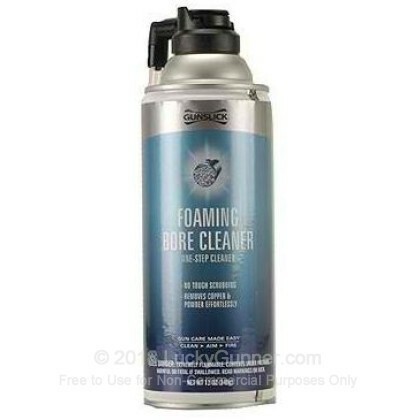 Just spray the foam, wait until the cleaner turns blue as the copper deposits dissolve, and then remove the product. Gunslick Pro has an industry wide reputation for quality cleaning products at an affordable price. Gunslick Pro is owned by ATK, the manufacturer of CCI, Speer, and Federal ammunition.